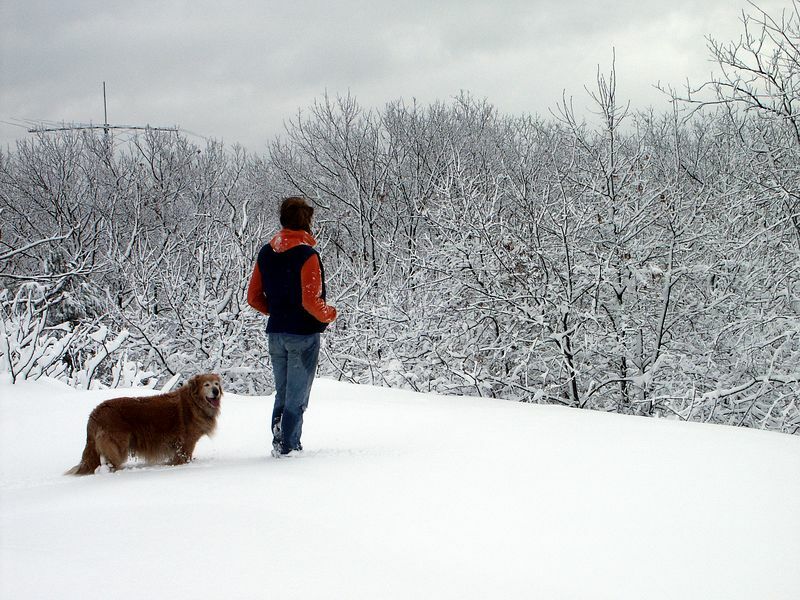 On January 3rd, 2003, Winchester was hit with a snow storm that dumped just under a foot of heavy new snow across the are. Soon after the snowfall ended, I hiked over to Whipple Hill to capture pictures of the snow clinging to the branches of every tree. The pictures from January 4th, captured the look of the area before any other hikers had a chance to break the pristine snow cover. Then I went back on January 5th, to capture more images. On the second trip, I had a beautiful dark blue sky as a background.